Terese and Robbie picked out this modern set of Rivet Rings in opposite color schemes. For Terese a 4mm wide 14k red gold band with a linear hammered finish, a 500 palladium strip and 3 flush-set diamonds in shades of champagne and white. 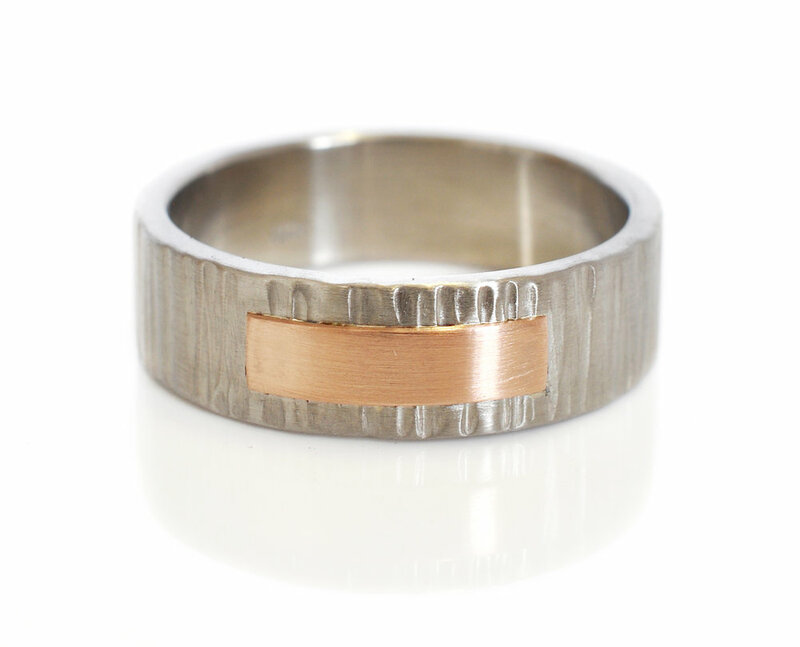 For Robbie a 6mm wide Rivet Ring in linear hammered 500 palladium and a 14k red gold accent.